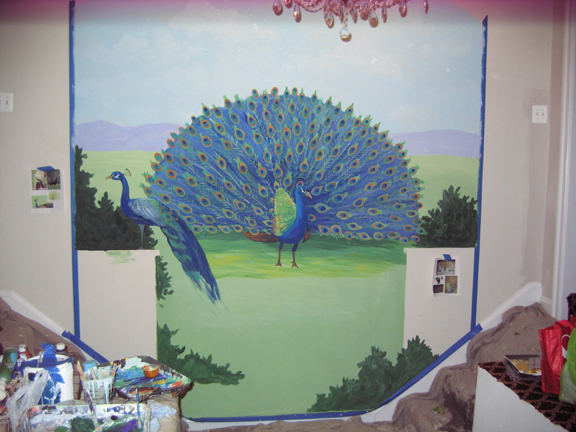 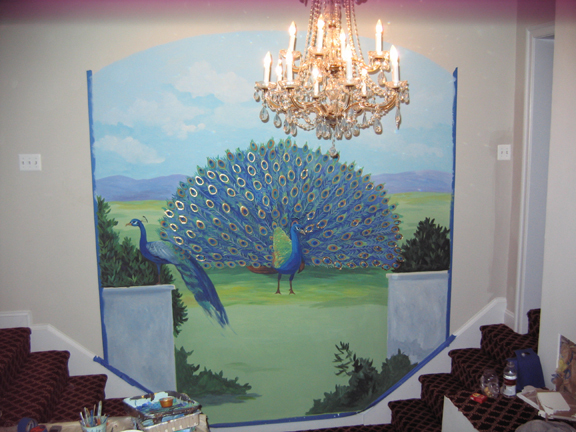 I’ve recently received a lot of comments about my peacock mural- a project I completed just before Thanksgiving 2010- so I thought I’d share the story of this incredible piece of art. 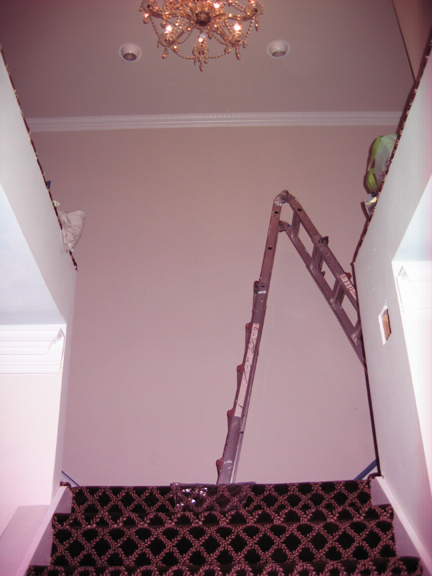 When I started working in this home, it was down to the bare drywall. 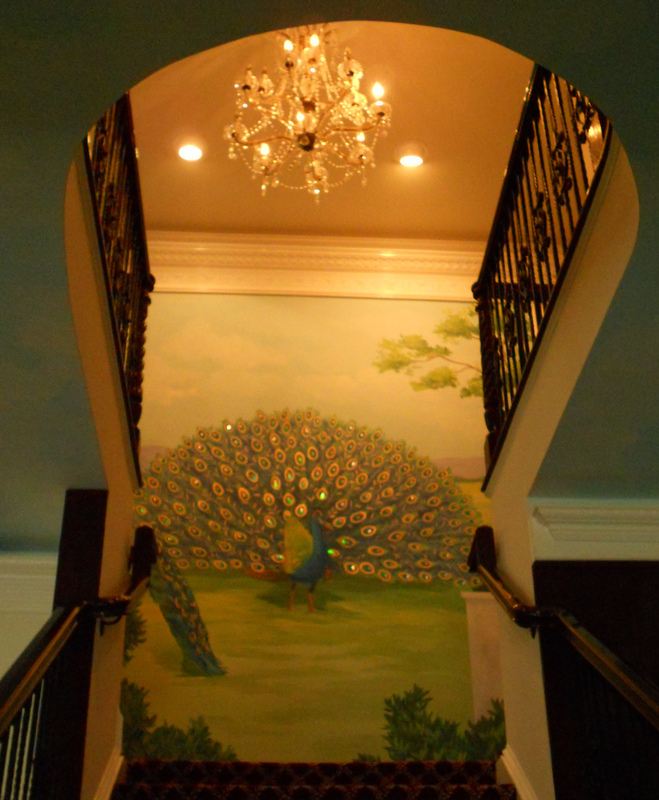 Since before the floor tiles were put in place, a vision of a peacock at the top of the stairs had always been in the master plan. 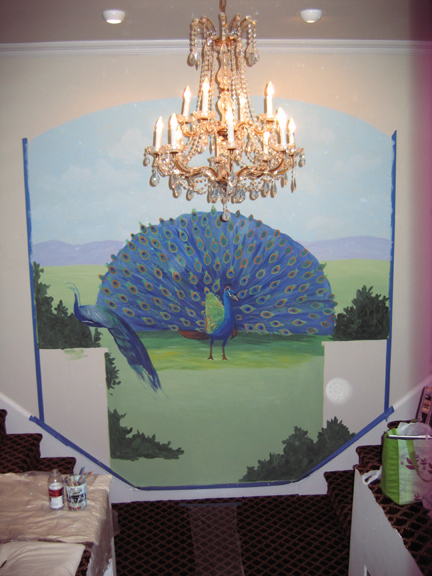 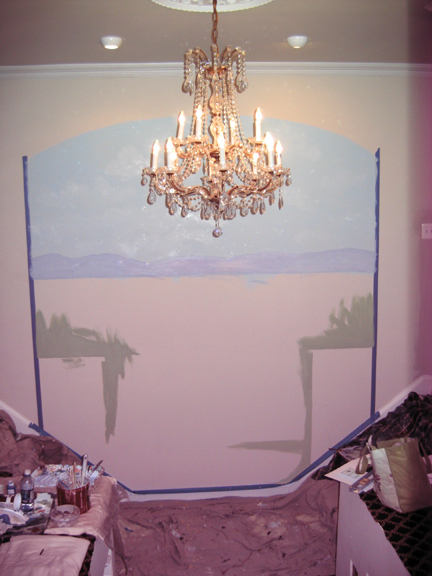 And so the painting began!!….. 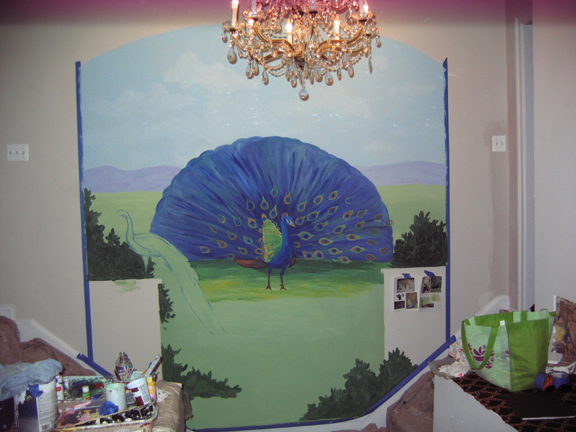 Once the blue fan of the peacock was blocked in, every feather had to be painted individually- a process that took several hours. 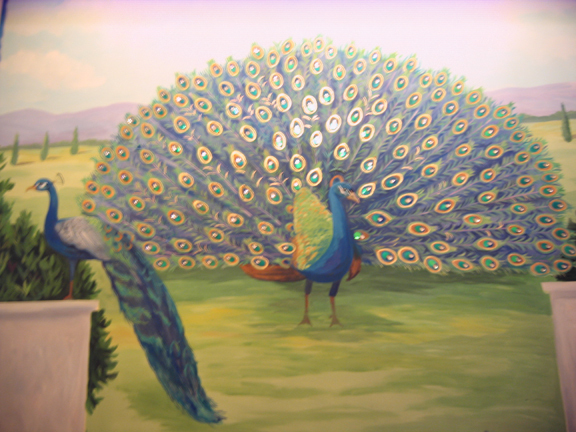 Next, a second peacock was added to the left. 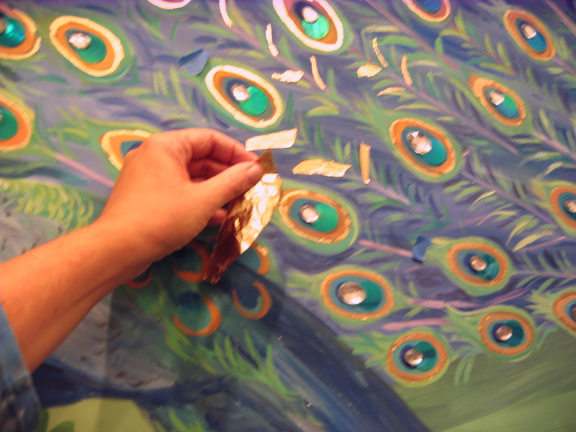 The final step to the process was applying gold leaf, sequins and gemstones to EACH feather… this took DAYS to complete. 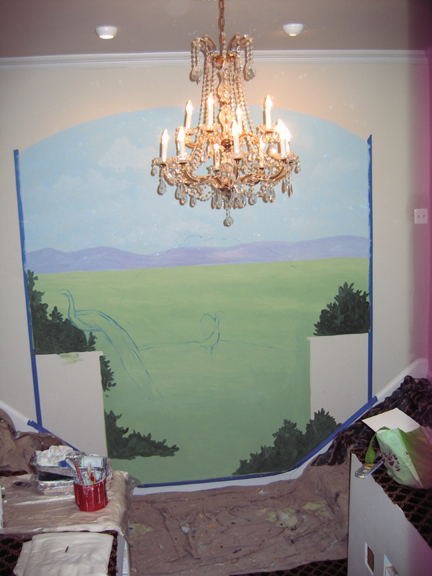 But all the work was worth it, as the creation SHIMMERED in the light of the chandelier. 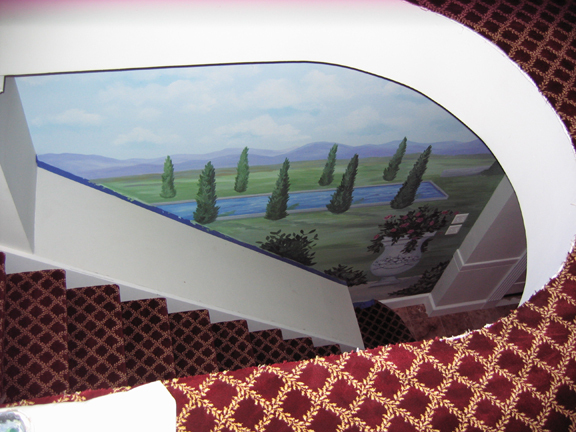 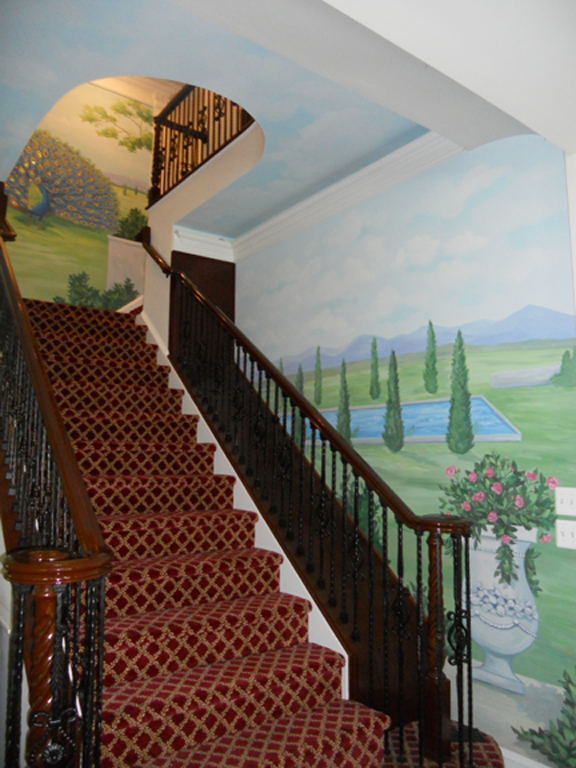 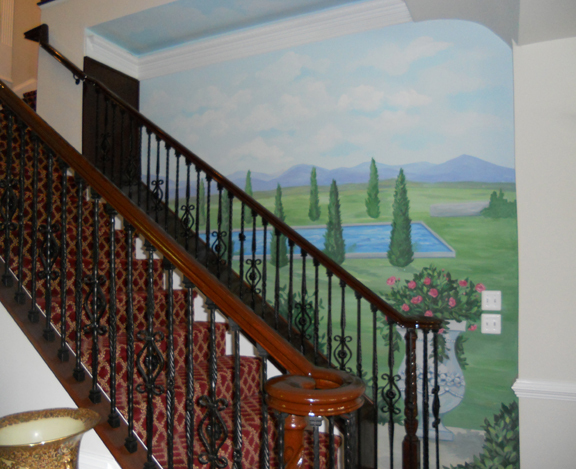 Lastly, I wanted to show you the garden scene as you come up the stairs- it sets the tone for what lies ahead at the top. 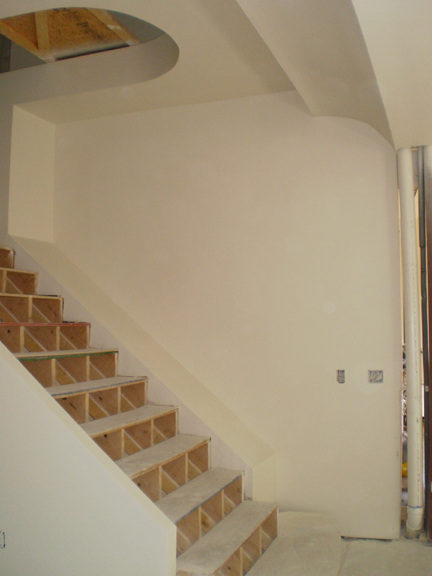 This photo was taken at my first site visit- during the construction phase. 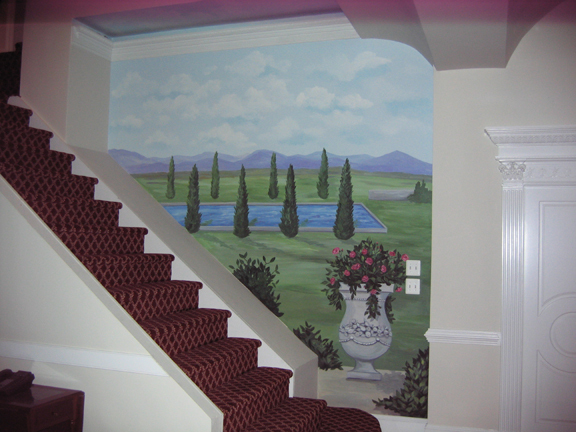 Now, a lovely palacial garden scene is just the beginning for what comes next.